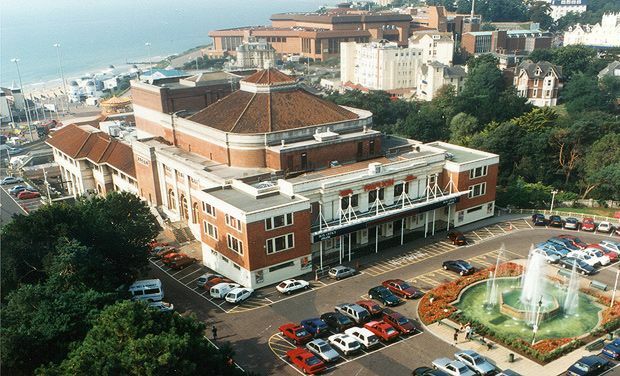 Built on the seafront in the 20s Bournemouth's Pavilion Theatre is a traditional art deco theatre space. The venue was refurbished in 2007 and now seats almost 1500. The Terrace Bistro is open between 10am–5pm everyday and also offers pre-show dining. Limited pay and display parking is available at the Pavilion car park. Symphonic arrangements of iconic 80s tracks from David Bowie, a-ha, Foreigner, Simple Minds, Tina Turner and more. Joint headline tour by Welsh singer Aled Jones and tenor Russell Watson, ahead of the release of their new album In Harmony. An evening with the soldier, adventurer and star of C4's SAS: Who Dares Wins. The journalist sets out on his first-ever tour to discuss the many fascinating adventures he has undertaken. The vocal four-piece and Irish music sensation present a show celebrating the Emerald Isle. Lavish tribute to the rock stylings of Queen. AOR from the man who unleashed 'The Lady in Red' on the world, playing covers from his latest album. See Baby not put in the corner in the musical based on the late Patrick Swayze's popular film. Following two West End runs and two UK Tours, the classic story of Baby and Johnny is back, featuring the hit songs ‘Do You Love Me? ', ‘(I’ve Had) The Time Of My Life’ and more. Comedy from Mock the Week regular. The Python turned adventurer discusses his life and (highly enviable) career. Tribute to rock'n'roll pioneers The Stones. Brutally honest comedy from the the star of Misadventures of Romesh Ranganathan, A League Of Their Own and Judge Romesh. Rock'n'roll from the 50s and 60s. A night of soul classics. One of the best post-punk pop acts, helmed by the songwriting duo Glen Tilbrook and Chris Difford. One of the most accomplished soul bands to grace the R&B scene, The Stylistics bring with them the sweet, soulful memories of years past. Gary Ryan from Stars in their Eyes pays tribute to Neil Diamond. Expect hits like 'Forever in Blue Jeans', 'America', 'Love on the Rocks and more. The terribly nice young Pop Idol graduate who has been one of the few to almost entirely shake the shackles of reality TV to emerge a solid popster in his own right.